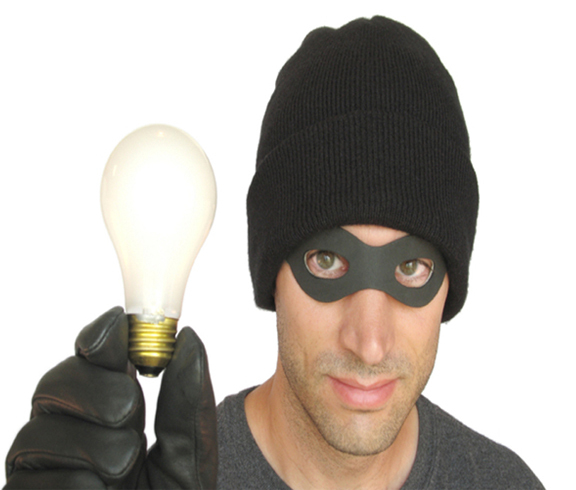 SICKBRICK STOLEN – INDIE VOLT! 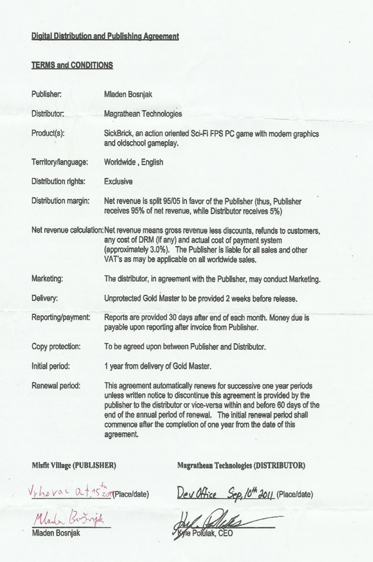 How Mladen Bošnjak former friend and fellow developer stole his Steam game. Indie Volt can be a platform to inform & educate as many people as possible in regards to situations that have a potential to cause drastic change (be it for better or worse ) in any industry where there is a large group of independent talent. Recently we were made aware of a situation between two of the developers of the game SICKBRICK a sci-fi FPS action adventure game, that we had planned on bestowing with our “EXTREME VOLTAGE SEAL OF APPROVAL”. Released on Steam in February of 2015 by Maxwolf, Fox & Bošnjak. 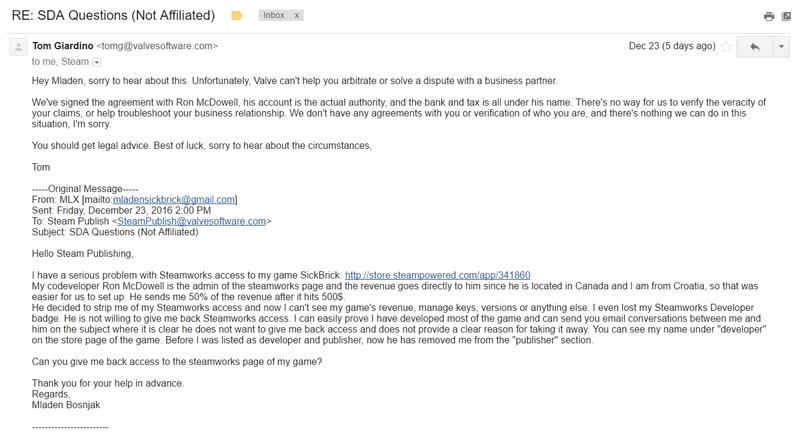 Game developer Mladen Bošnjak through his dev page Misfit Village released a two-part statement detailing the specifics regarding how he says a former developer on SICKBRICK “Maxwolf” (real name Ron McDowell) locked him out of his Steamworks account (this is where a dev can generate keys for a game, see revenue earned, set up pricing & sales, update storefront graphics, game versions, etc.) and basically screwed him out of monies he would have been due. Bošnjak and Maxwolf met in 2011 when Maxwolf approached Bošnjak about assisting him with his game Incognito, Bošnjak agreed and went to work designing buildings, enemies, and vehicles for the game. However, he was never paid as promised. out helping him finish his game SickBrick. Having a large percentage of the game already done, Maxwolf went to work on the games HUD, boss fights & enemy navigation system. After SickBrick’s sales started to dwindle both Maxwolf & Bošnjak agreed that Maxwolf would send a payment to Bošnjak after a profit of $1000.00 USD was reached. In November of 2016, much to Bošnjak surprise and later chagrin, he found himself locked out of the Steamworks dev center, and thusly out of the game he had conceived in 2008. 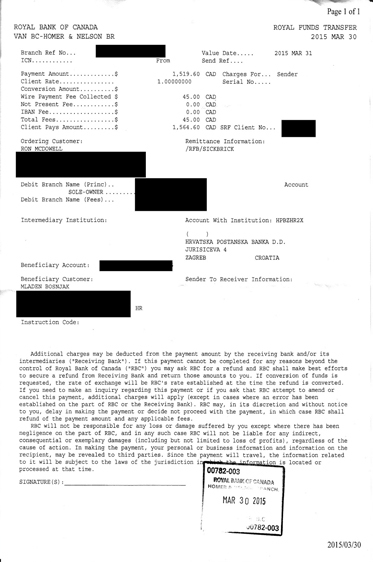 When Mladen Bošnjak questioned Maxwolf about his missing credentials he was told he had been removed because he was no longer working with NeoAxis. He said he removed me from Steamworks because “I wasn’t working with NeoAxis stuff anymore”. Screenshot of the conversation thread between Bošnjak and Maxwolf. Bošnjak says he’s lost sleep thinking about how Maxwolf could have done this to him. Bošnjak says that he still wasn’t consulted for permission or otherwise when SickBrick was released on The Microsoft Store. It’s been a little over 5 months since Maxwolf removed Bošnjak from Steamworks and even unfriended him on Steam. According to Mladen, Maxwolf has also failed to reply to his emails or any other form of contact. In the meantime, SICKBRICK has surpassed $1000.00 in sales, but Mladen can’t know how much, of course, due to the fact he cannot gain access to any sales figures on Steam, DLC or the Microsoft Store. Mladen reached out to Valve for help, you can read their reply here. 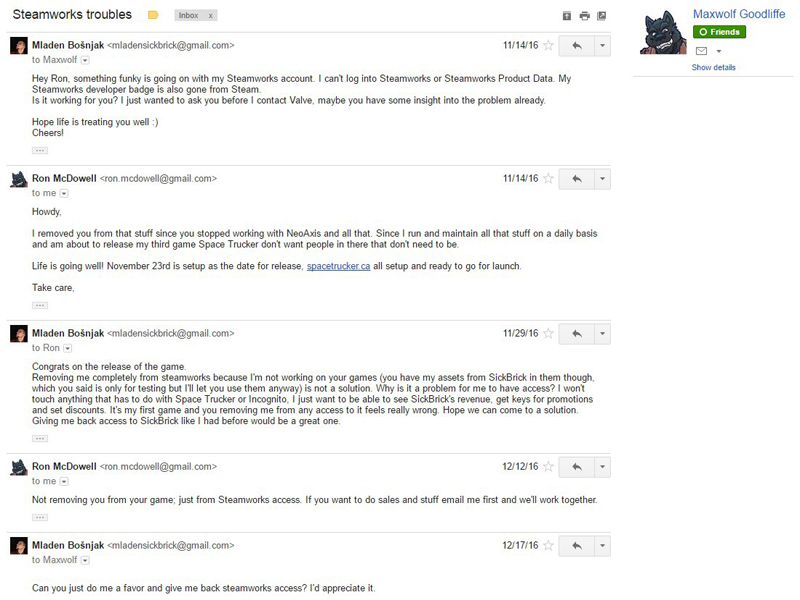 Screen Shot of Valve’s reply to Mladen Bošnjak regarding help accessing Steamworks. Please CLICK HERE to view the 2-PART informative statement that Mladen Bošnjak has posted to the MISFIT VILLAGE site.